What prevents us from speaking and what can we do about it? 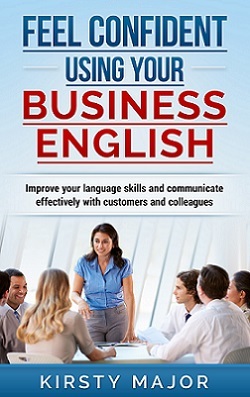 A number of my customers say that speaking English is one of the things that they find most difficult. I know too that as I started learning other languages, my speaking skills were always the last to develop. My reading, writing and listening skills came on well but speaking was always my least favourite task. I’m happy to speak German now but it wasn’t always like that and, as customers often say that they find speaking difficult, I decided to look at some of the reasons behind this and what we can do about it. I came up with five of the most common problems that I’ve experienced or observed and I’m going to look at each of them in turn. 1. I don’t want to make mistakes and feel stupid. 2. I don’t get enough practice. 3. I can’t say what I want to say – so I don’t say anything. 4. I can’t think fast enough and then I get frustrated. 5. My vocabulary is too small and I don’t want to sound like a little child. This is a big problem, particularly for those of us who talk a lot or who know that we can express ourselves well in our native language. Perfectionism can drive us on to make sure that we learn well. However it can also hold us back, especially when it prevents us from trying out new ideas or saying the things that we would really like to say but which may not be perfect. But then, nobody is perfect! I heard somewhere that the only people who never fail at anything are those who never try anything either. 1. People rarely judge you as harshly as you would judge yourself. 2. Our mistakes can be our best teachers. 3. It does get easier, the more you do it but sometimes that means putting yourself in situations in which you have to speak – even when this is the last thing that you want to do. If you don’t speak any English all month and then expect to speak beautifully and eloquently at the monthly team meeting that’s held in English, you may be in for an unpleasant surprise. It’s really hard to start speaking and thinking in another language if you don’t do this regularly. In order to develop your skills, you need to be proactive and find reasons to speak English. There may be groups that meet in your town, or you could find a tandem partner online and arrange to speak with them in English and your native language so that both of you can learn something. Whether the speaking takes place online or at a face to face meeting doesn’t matter. The important thing is that you’re giving yourself the opportunity to develop your speaking skills in a relaxed atmosphere where you don’t have colleagues or customers listening in. This means that it doesn’t matter as much if you make mistakes and you will grow in confidence and be ready for the meeting in English because you’ve been thinking and speaking English throughout the month. I think that most language learners have experienced this at some point on their learning journey. You have so many ideas, a really good story or a convincing argument but you don’t know how to put it into words in the new language. You either get frustrated and give up, which means that nobody hears about this great idea, or you revert back to your native language if those around you can understand it, which means that you don’t get any language practice. I’m usually too stubborn to do the latter, so on a number of occasions, I’ve just sat there in silence with the ideas swimming around in my head with no way out. Although you may not be able to talk about something in as much detail as you would when speaking your native language, if you simplify what you want to say, you can still try to get the main points across. What is really important about that story? Can you tell it in simpler words? Don’t worry if there is a word that you don’t know. If it’s an object, try to describe it. If it’s something that someone did, try to explain it in a different way. What you say doesn’t have to be exactly the same as what you would have said in your native language. The most important thing is that the other person understands you. If you’re writing an email, you have time to think about what you want to say. Then you can use the dictionary to check any words about which you’re unsure. Then you can read through the text again before sending it off. When you’re speaking, you don’t have any of these luxuries. You Just have to respond spontaneously if you want the conversation to keep going. This takes time and practice. However, the more you get into the habit of thinking in English, the easier this will become. Trying to build sentences in your head before you say them or trying to translate sentences directly from your native language may seem like tempting options, but they in fact make life harder for you. When speaking normally, we don’t usually hold a whole sentence in our heads. Therefore, if we try to do this when speaking another language, we are putting additional pressure on ourselves and this can result in us mixing up the words and then feeling frustrated. 1. It will take longer because you naturally say more and use more complicated phrases in your native language. 2. It may not flow as an English sentence should. Translation is a skill. It’s a good skill to have if that’s what you want to do, but it doesn’t come naturally as a part of language learning. 3. Some things really don’t translate well and they will sound really strange if they are translated word for word out of another language. Thinking in English and thinking of what you want to say as you are going along are skills which need to be developed and the best way to develop them is to use them regularly. 5. My vocabulary is not developed enough and I don’t want to sound like a small child. It is hard if you’re being asked to converse on a level that is higher than what you can manage at the moment and this can be really demotivating. If this is happening in a business context, it would be better for you to get some help from outside the company because this is the level that you need to be at in order to be comfortable with the tasks required of you. This help could be in the form of language training or working with a language partner and it could focus on the specific areas in which you want to develop your vocabulary. You could also help yourself by reading or listening to information about these topics so that you will be exposed to this vocabulary more often. It doesn’t have to be materials for language learners. You could also look for articles in newspapers or on social media. Sometimes this problem even occurs during conversation practice with a language partner. I had situations where a language partner would talk at length on a given subject in their language. I could follow most of what was being said because my listening skills were quite good – but I couldn’t reply in the same way. The other person was speaking as they may have spoken with a friend, not with a learner. Then I felt frutstrated with myself because I couldn’t express all the ideas that I had on this subject. It was beyond my level of vocabulary at that time. Some language partners are better at helping the other person to speak than others. Language partners are not teachers and they may not know how to help the other person to feel relaxed or to encourage them to give answers. However if you feel that your language conversations with a partner are at a level that is too high, talk to them about it. Don’t just leave the conversation, feeling demotivated. I’m not going to say that speaking is easy. For some people it is easy, but I know from my own experience that it takes courage to build up the confidence to speak, particularly in front of a group of people. However I have found that it does get easier and it can even be fun, once you’ve got over the initial nerves. I hope that these tips have given you some ideas to try so that future conversations are more positive experiences for you. Hello Kirsty. You must be genius. You just wrote wonderfully in English, and then you also know how to speak German and Turkish too? That’s super. Well, my German is much better than my Turkish! Languages were my favourite subjects at school and now, as a teacher, I think it’s really good to keep my brain active and to keep learning! Thanks for the feedback and have a great week! Great post. I wish people learning a second or third language would give themselves a pat on the back for extending and challenging themselves, rather than worried about feeling stupid. I know when I hear someone attempting a new language, I become patient and want to listen because I always find it fascinating that people are attempting a new language. Hats off to them really. I remember visiting relatives in Poland and I did not know any Polish but my mother did. She also felt all the things you mention in your post. The inadequacy about her communication, yet she could get her message across and that is what I think the point is. When you can communicate your message regardless of how limited your words are – you are certainly my hero. How disappointing to think not say anything is fair to anyone. You stop expressing yourself and you and other miss out on what is swirling in your mind. However I understand it. But I get the I can’t think fast enough and I get frustrated. I feel that now and I am fluent in English. You are right. Often the people around us aren’t as hard on us as we are on ourselves. Sometimes we’re so busy looking forward and planning how we’ll reach our goals that we forget to see how far we’ve come. I think that this is particularly true of language learners. It’s good to have the goals, but we also need a pat on the back once in a while as you mentioned. These five communication problems speak so much to me. I should be learning other languages but as you brilliantly mentioned, I do not want to sound stupid and my vocabulary is so small that it sounds childish. You are right that I am better off starting and making mistakes to get enough practice. You are right that I should not be bothered by other people. Hi and thanks for the feedback. I only know these things because they are all lessons that I have had to learn myself. If there is another language that you would like to learn, why not give it a try?